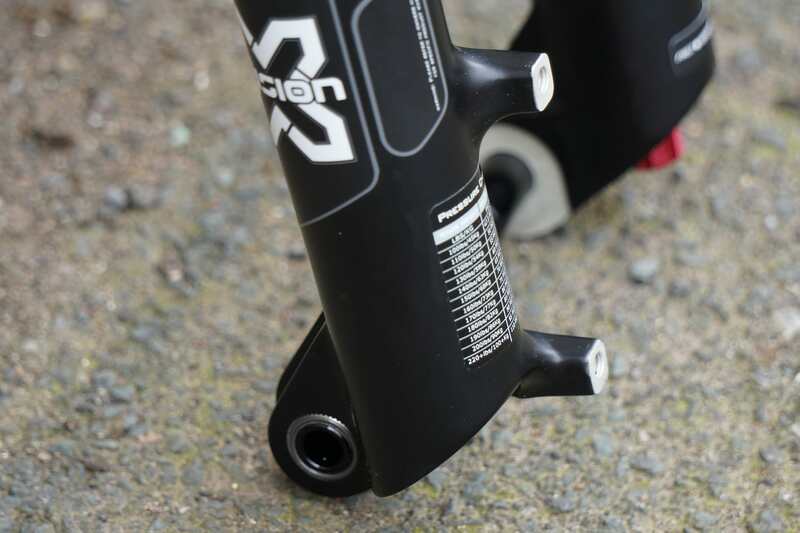 X-Fusion is looking to boost its big wheel Enduro credentials with its latest 36mm fork, the TRACE 36. 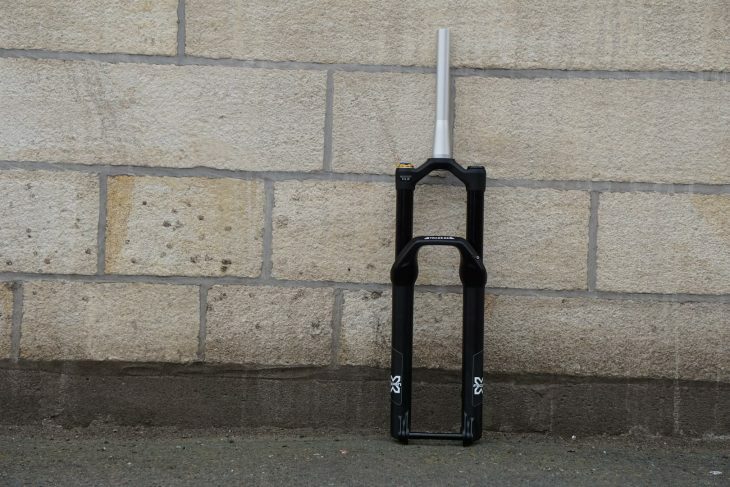 You may have already seen this fork in Fresh Goods last week, and like many of you, we’re pretty excited to see how it performs so thought a dedicated first look article was worth writing. 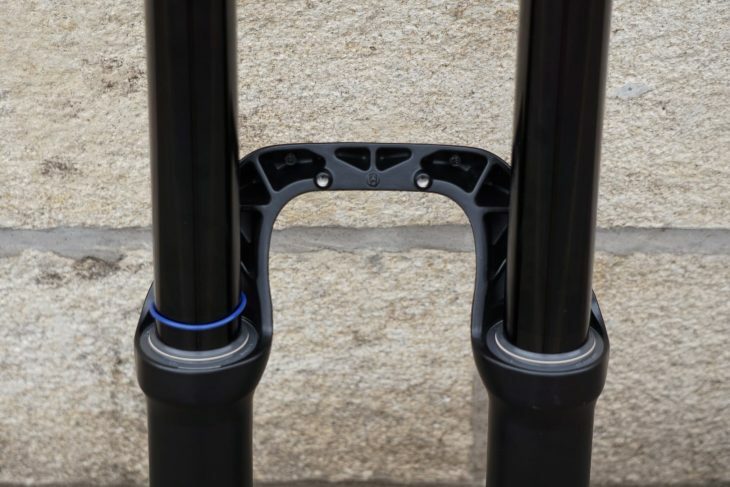 The X-Fusion TRACE 36 joins The RV1 downhill fork and Metric freeride fork in the 36mm stanchion X-Fusion fork line-up and sits above the popular Sweep and McQueen forks that we have seen popping up on the front of trail bikes over the past few months. The TRACE 36 with 36mm stanchions! 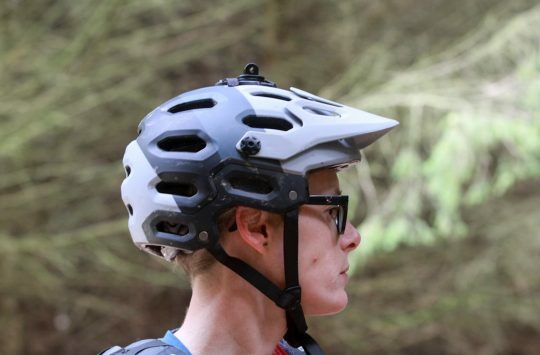 It’s also the big brother of the standard TRACE fork, which has smaller 34mm stanchions, and like its little brother is designed for use with 29in wheels only, but in this case, suspension tops out at a rock gobbling 170m rather than a trail-friendly 140mm. The X-Fusion TRACE 36 has external high and low-speed compression adjustment. Rebound control is found at the bottom of the right fork leg. We have the HLR version of the TRACE 36, and at the time of writing this is the only version that X-Fusion lists on its website. 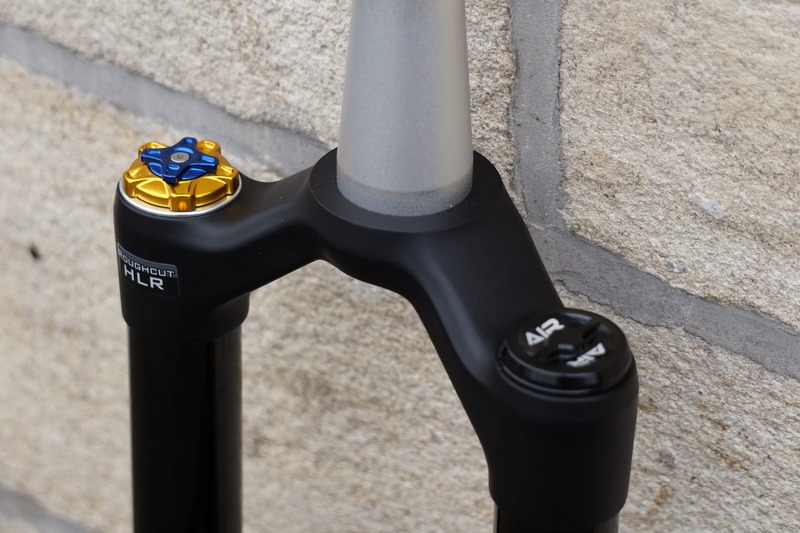 It doesn’t take a genius to work out that HLR stands for the external adjustments the TRACE 36 has on offer, high-speed, low-speed and rebound. 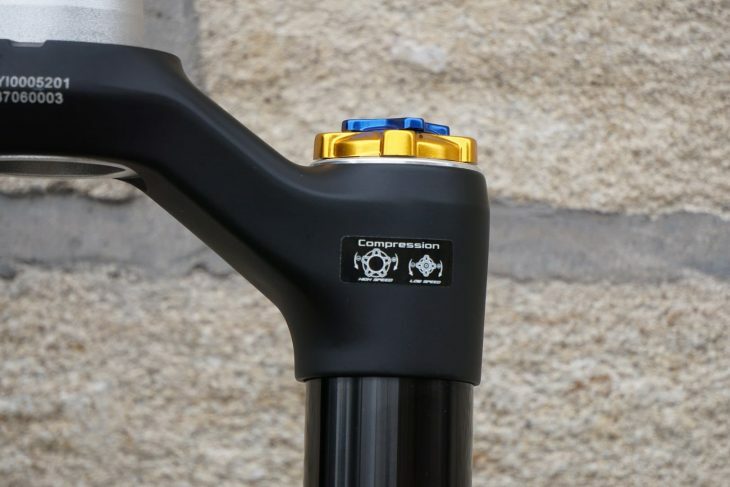 This is all built into an updated Roughcut damper system similar to the one found on the McQueen fork that James tested late last year. Never forget what does what. Roughcut is X-Fusion’s own single wall bladder system that separates oil in the damper from oil in the cartridge of the fork. The revised damper system also uses all new CNC aluminium damper components and a new Mid-Valve for improved damper performance. What this is like on the trail, we’ll have to wait and see. New axle design requires an Allen key for removal which saves a little weight. 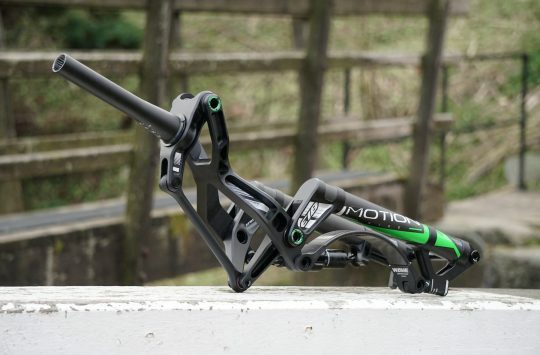 Along with the larger chassis, the X-Fusion TRACE 36 has the new LockX axle for 15mm fork axles. 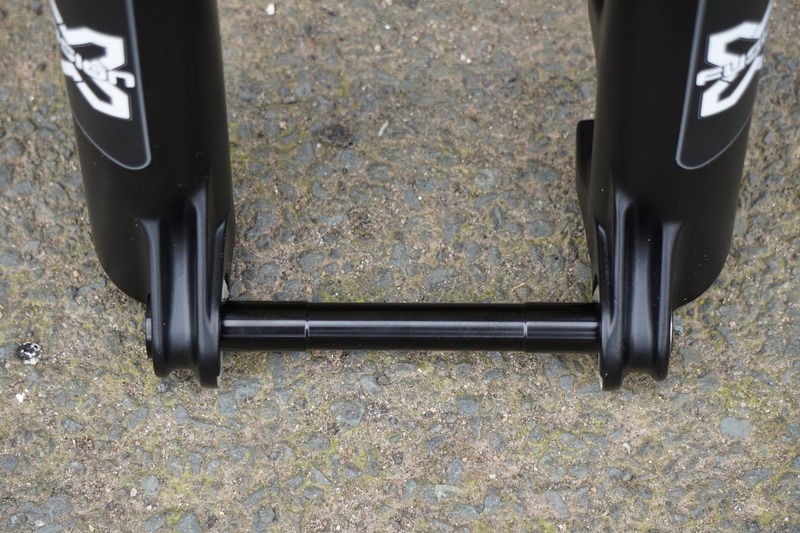 It’s a simple alloy axle which requires the use of a 5mm Allen key for wheel removal. It might not be as handy as a tool-free system but it is easy to use and very lightweight. New low-friction dampers and integrated mount for a mudguard. Another new addition is the Nvolve wiper seals which promise to be ultra durable, low friction wiper seals. Once fitted to Ross’ test bike we’ll report on how these feel and if they are as stiction-free as X-Fusion promises. There are also mounts on the fork brace for a bolt on mudguard too. Tapered alloy steerer and air spring on the TRACE 36. 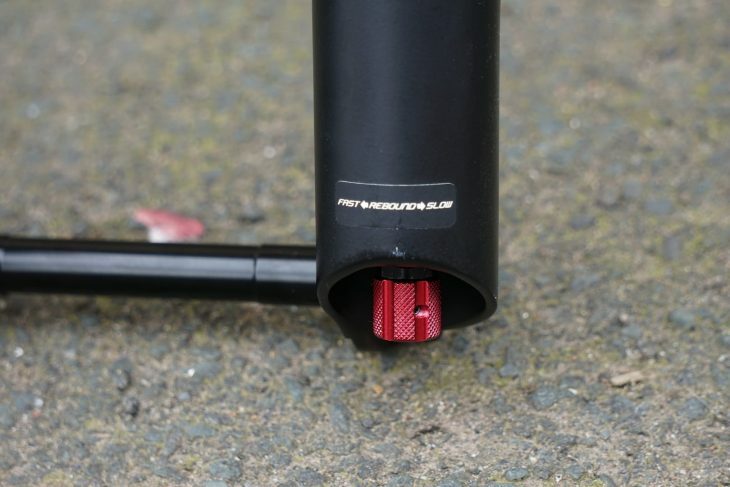 Like other X-Fusion forks, the TRACE 36 is air sprung and features a tapered alloy steerer only. More handy set up details are found on the left fork leg. 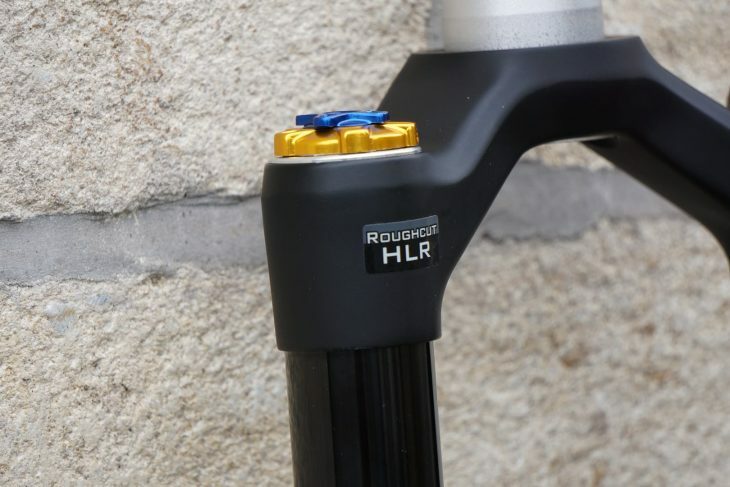 With an RRP of £800 the X-Fusion HLR offers quite the package and at less than rival forks from Rockshox and Fox, all that remains to be seen is how well they perform on the trail. Watch this space for a full review coming soon. Weight: 4.4lbs. 2000g (claimed, 2,120g measured with uncut steerer). Do you have any questions about the X-Fusion TRACE 36? Ask us in the comments section below. 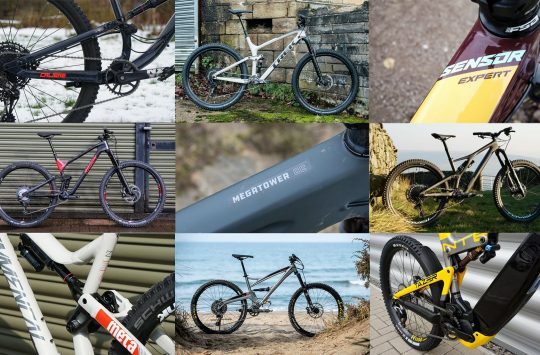 So that's where all of the country's carbon enduro bikes (and T5 campers) went this weekend? The Ard Rock Enduro! Hi, Would I need any tools specific to x-fusion forks to be able to service these forks at home? Im thinking damper oil change as well as the usual air spring and lowers service. I always think a comment on how easy it is to do a home service would be a useful addition to fork reviews. Even better if it was rated 1 to 5.